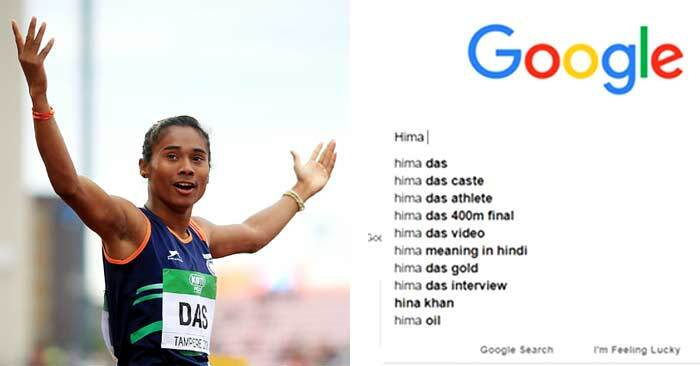 While Hima Das is winning glory and medals for the country, few Indians are degrading her glory by searching her caste on the internet. The Golden Girl has won a gold medal in 400meters IAAF U20 Championship in Finland, despite being proud of her achievement, few sections of society are over her caste and diminishing her achievement. This is not for the first time that happened in India when PV Sindhu has won Silver Medal in Badminton at the 2016 Summer Olympics, Women’s singles, her caste was widely searched on Google. Though the world is moving at a fast pace few are still stuck with unnecessary norms of society.